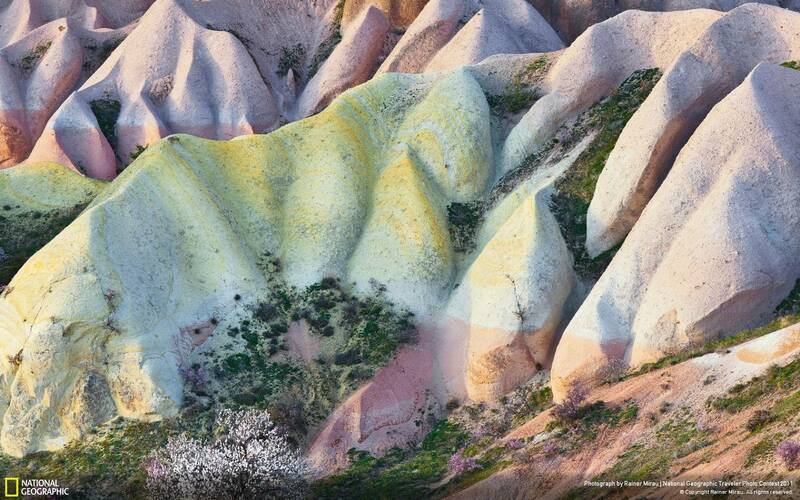 This amazing area is Rainbow Sherbet Hills in Rock Sites of Cappadocia, Turkey. The formations are formed from volcanic turf rock eroded into wild shapes. Residents have carved homes in these rocks and taken dwelling in them for thousands of years. There are even entire underground systems.